The horror genre has had a hard time finding its footing recently. Theaters have been packed with flops and failures relying too heavily on jump scares, but since these movies are so easy to produce there's no incentive to change practice. 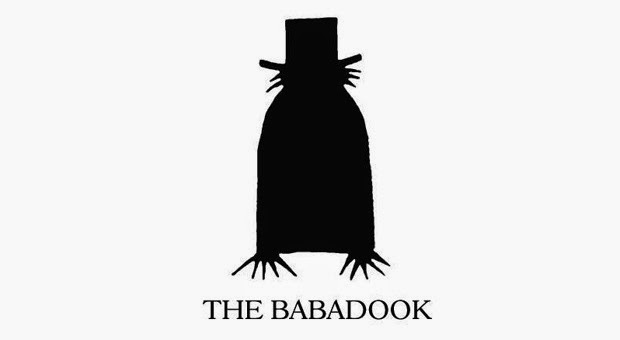 In comes Australian filmmaker Jennifer Kent with The Babadook, a film which is more psychological thriller than traditional horror—although its roots in classics like The Exorcist and Rosemary's Baby are clear from beginning to end. It utilizes strategic editing and sound design to create a thick atmosphere and constant sense of dread instead of sticking to the crutch of loud noises and cheap tricks (strickly speaking, the movie isn't exactly "scary" as the Babadook itself makes fairly few appearances). Its sense of existential anguish is slightly overbearing at times, but its restraint, intelligence, and power are all things Hollywood could learn from. I might be an easy target when it comes to psychological horror, but I was on the edge of my seat for the great majority of The Babadook. There's a point somewhere in the third act where the story becomes a bit surreal, and this causes some of the tension to fall out, but it also makes the material that much more interesting. Not a great sense of unity, but one of my most intense experiences of the year.